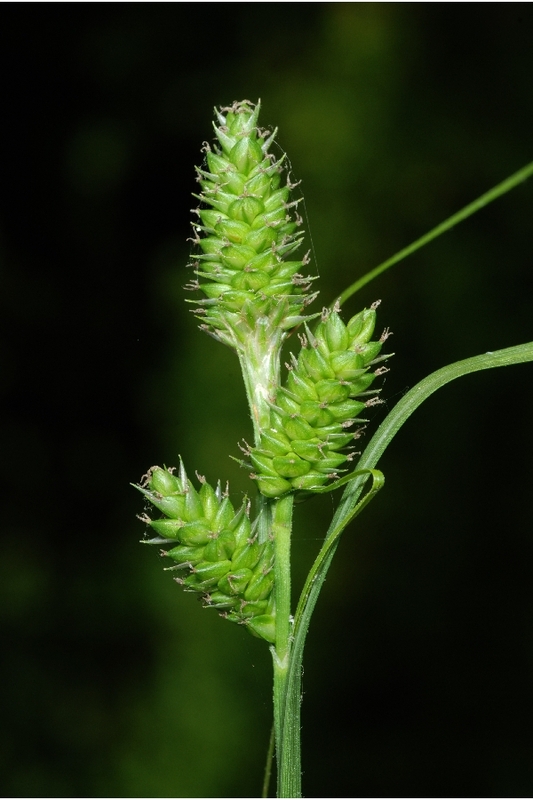 Carex complanata. Troy University Herbarium. Herbarium of the University of West Alabama. floraofalabama.org (Accessed 12/2017). Carex complanata is a perennial, tufted sedge, stems 30 cm to 1.2 m tall, base red-purple. Leaves 0.2-0.4 cm wide, about as long as flowering stems; lowest inflorescence bract much longer than flowering stem, the others smaller. 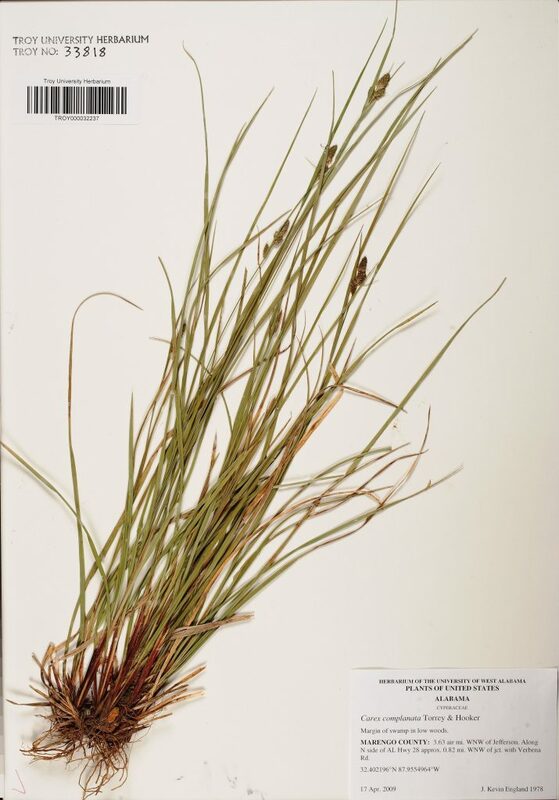 Carex complanata.Doug Goldman @ USDA-NRCS PLANTS Database.USDA-NRCS-NPDT (Accessed 12/2014). Flowers dry, tiny, monoecious, spikes 2-5, terminal spike with male flowers at base, perigynia above, spikes clustered near end of stem 0.8-1.5 cm long, mostly stalkless, perigynia about 0.3 cm long, 0.2 cm wide, greenish brown, flat, tapered to base, widest above middle, tip rounded, beakless, mid-May-early July. Frequency in NYC: Rare (NYS S1, R). Habitat: Dry, open woods, fields.